Muay Thai or Thai Boxing is the traditional combat sport of Thailand. Known as ‘the art of eight limbs’ because of it’s combined use or elbows, fists, knees and shins. 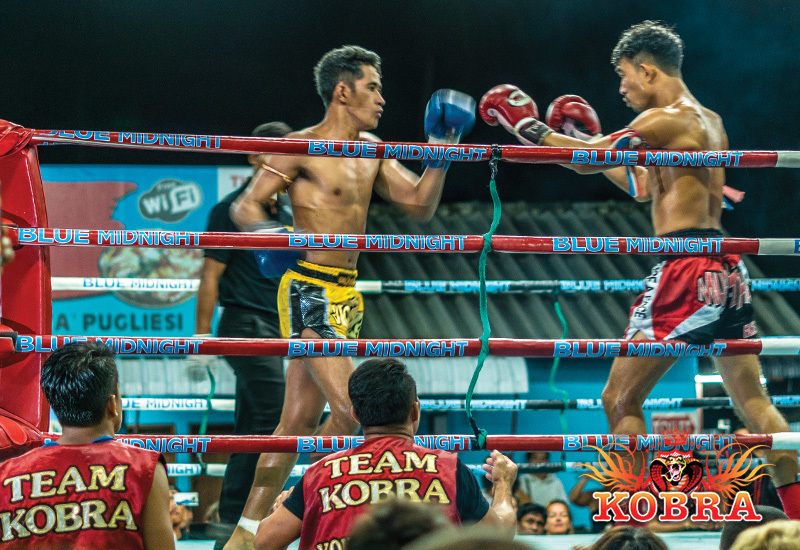 Every year budding fighters flock to Thailand to gain experience in this ancient sport, and grow in good physical preparation that makes a full-contact fighter very efficient. Combine your specialist training with a unique flashpacker experience at Phanganist Hostel. Relax after a days training at Kobra Muay Thai stadium with a dip in the pool or enjoy a cold beverage at the bar and meet new friends from all around the world! Train with other fighters and resident trainers with over 10 years experience at morning (8:30 – 10:30) or afternoon (4-6) sessions.